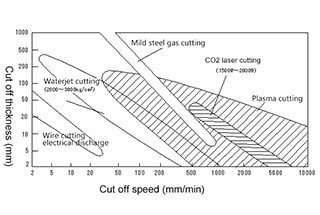 The arc stability of NC plasma cutting machine directly affects the cutting quality. Plasma arc instability may lead to uneven incision, built-up edge accumulation etc. It will also lead to a decrease in the service life of the relevant components of the control system and the frequent replacement of nozzles and electrodes. If the input air pressure is much more than 0.45Mpa, after the formation of the plasma arc, the excessive air flow will blow away the concentrated arc column, which will disperse the energy of the arc column and weaken the cutting intensity of the plasma arc. After starting up, if the air filter pressure reducing valve is rotated to adjust the switch and there is no change of the pressure on the gauge, indicating that the air filter pressure reducing valve is out of order and needs to be replaced. 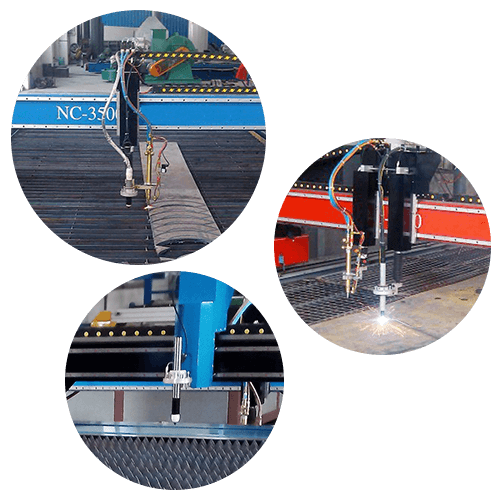 When the plasma cutting machine is working, if the working pressure is far lower than the pressure required by the specification, it means that the plasma arc’s ejection speed is weakened, and the input air flow is less than the specified value. At this time, high energy and high-speed plasma arc cannot be formed, thus resulting in poor incision quality, impenetrable incision and built-up edge accumulation. Before use, pay attention to the air compressor output pressure display. If not conform to the requirements, adjust the pressure or repair the air compressor. If the input air pressure has reached the requirements, check whether the air filter pressure relief valve is adjusted correctly and whether the pressure display can meet the cutting requirements. Otherwise, the air filter pressure relief valve should be maintained daily to ensure dry air and no oil pollution. If the input air quality is poor, it will cause oil pollution in the solenoid valve, the valve core is difficult to open, and the valve port cannot be fully opened. In addition, if the torch nozzle pressure is too low, also need to replace the electromagnetic valve. The reduction of gas channel cross section will also result in low air pressure. The air tube can be replaced according to the instruction. Grounding is an essential preparation before cutting. If the special grounding tool is not used, or there is insulation on the surface of the workpiece and the ground wire with serious aging is used for a long time, the ground wire will contact the workpiece badly. Special grounding tools should be used to check if there is any insulation that affects the contact between the ground wire and the workpiece surface. The aging ground wire should be avoided. 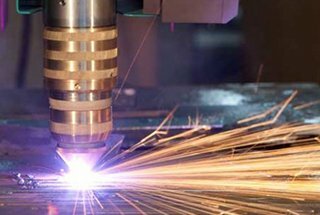 When the plasma cutting machine works, the first thing is to ignite the plasma arc. The high-frequency oscillator activates the gas between the electrode and the inner wall of the nozzle, which generate high-frequency discharge and the gas is partially ionized to form a small arc. 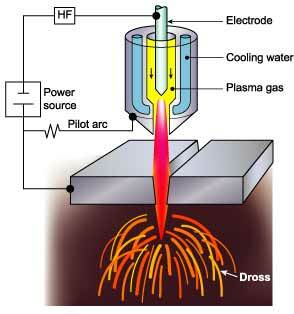 This small arc is driven by compressed air and is ejected from the nozzle to ignite the plasma arc. This is the main task of the spark generator. Under normal circumstances, the working time of spark generator is only 0.5 ~ 1s. The reason why the arc can’t be broken automatically is generally that the control circuit board component is out of balance and the gap between the discharge electrode of the spark generator is not suitable. There are large electrical facilities in the site of using plasma cutting machine. The failure of main circuit elements in the plasma cutting machine will make the input ac voltage too low. Check whether the power grid connected by the plasma cutting machine has enough load capacity and whether the power line specifications meet the requirements. 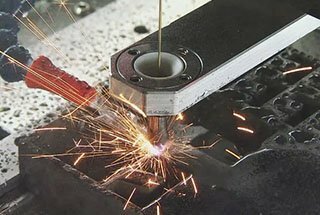 The installation site of the plasma cutting machine should be far away from large electrical equipment and the places where have electrical interference. 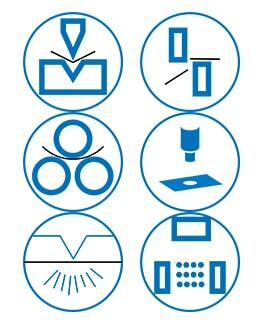 During the use of plasma cutting machine, dust and dirt on components in the plasma cutter should be cleaned regularly and to check whether the wire is aging. In addition to the above reasons, the too slow cutting speed, the verticality of cutting torch and workpiece, and the operator’s skills in the plasma cutter will also affect the stability of the plasma arc. Users should pay attention to these aspects!